How to Install Enfold theme? Enfold is one of the most loved, most popular and highly rated theme. It’s packed with user-friendly features, beautiful designs and it is deeply integrated with commonly used third-party services like WooCommerce, WPML, MailChimp, Events Calendar and other popular plugins. 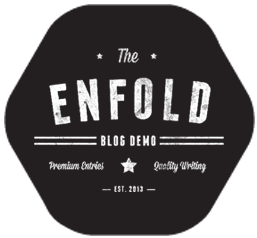 Enfold comes with a wide range of ready to use demos and help you easily set up a shop, business site, personal blog, portfolio, agency, travel website and a lot more. 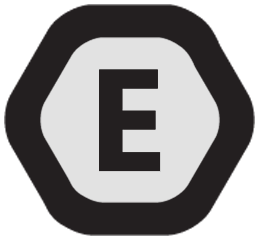 Assuming you have already installed WordPress let’s take a look at installing enfold, importing demos and keeping it secure and up to date. Backup theme files if you have added any modifications or custom functions. Usually, the downloaded theme package includes additional files such as the documentation and demos. The additional files and format that is not recognised by WordPress may cause an error message to be displayed. Unpack the downloaded package and upload only the enfold folder with the theme files or just download the Installable WordPress file to upload via WordPress dashboard. To install a theme from WordPress dashboard navigate to Dashboard > Appearance > Themes and click on the “Add New” option on the top. In the next screen click on the “Upload Theme” option. Browse the downloaded theme file and install. Re-installing the theme is nothing complicated it is same as deleting a folder on your desktop and re-creating a new one 🙂 Just access WordPress directory on your server and go to folder “wp-content/themes” delete “enfold” folder and upload the fresh copy of the theme files downloaded from ThemeForest. Login to your hosting account and access the File Manager ( In most cases it’s found under Quick Links or the Files section). Open File Manager and browse to the wordpress folder usually the wordpress files are installed in the root directory of your site. Uploaded the latest version of the theme files to wp-content/themes/enfold (some hosting companies may not support uploading zip files and extraction using the File Manager tool). Activate Enfold theme from Appearance > Themes page in WordPress dashboard. A common issue that can occur with users new to installing WordPress themes is a “Broken theme and/or stylesheets missing” error message being displayed when trying to upload or activate the theme. This error message does not mean that the theme you have purchased is broken. If you are getting the no style.css message it means you aren’t actually uploading the actual theme file. All files (with documentation, psd files, wordpress theme, licence, versions file etc). If you download only the theme files and upload them to your server the theme will work fine. If you download “All files” you need to unpack the downloaded zip file first. Inside you will find another ZIP file that contains the actual theme files. This is the folder you can upload to your server. If you need more information about this topic. Here is a video tutorial by themeforest .